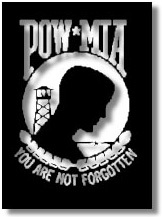 There are still over 2000 Americans missing from the War in Viet Nam, they must not be forgotten! They along with their brothers from Korea and the other wars of our past did not want to leave their parents, wives, husbands, siblings and children not knowing what had become of their loved ones. But unless we continue to keep the issues of their whereabouts in front of the politicians that run this country their fate will forever be a mystery and we as a country will have failed them. Below are the names of five of these heroes. They all were lost on the same June day of 1967 and to date none of them nor their remains have been returned to their loved ones for the closure that each one who served or who had loved ones serve so desperately need. 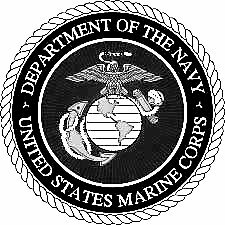 Take a moment and read about the incidents surrounding their loss then take another minute or two and write your congressman, your senator and yes the President and Vice-President of the United States asking, NOT DEMANDING to know what is being done to bring these men or their remains home. 1947 - 2005 Connie, known as Chrysalis, originally posted these pages on her "Another Waye" website and contributed generously to TGGuide.com. After fiercely battling persistent illnesses, she passed away peacefully in her sleep on May 25, 2005. She served two tours in the Vietnam War in the Marine Corps. She was an active leader of her local church, an uncompromising advocate for GLBT rights, and the epitome of unconditional love. She was mother, friend and sister to many, and will be missed very much." Connie was a founding member and strong supporter of Transgender American Veterans Association (TAVA).